Power Pandi the directional debut of Dhanush has finally released. With Rajkiran as lead and Dhanush in an Extended cameo. Madonna has also done a small role. Actress Revathi stars against Rajkiran. The cast also includes Prassana and Chaya Singh. Here is the review of Power Pandi . Power Pandi is all about the life of a retired Stunt master who wants to live for himself and not based on the opinion of the society. Power Pandi is mentally and Physically strong, his own son feels as a burden. He then decided to go on a road trip in search of his first love. Though there are only a few films based on Old age people all were stereotype but this is something more intense. Dhanush proves again that he is multi talented. The performance of Rajkiran should be appreciated, he is totally different compared to his previous film. Revathi too delivers a neat performance. The performance of two kids in the film should be also highlighted. Dhanush who comes on screen for nearly 30 minutes does his role at ease. The Biggest hero of the film is Sean Roldan, his songs and BGM has elevated the film. As said before Sean Roldan is the soul of the film. At many places, the BGM emotes a lot of emotions within us. Sean Roldan is surely a gem !! 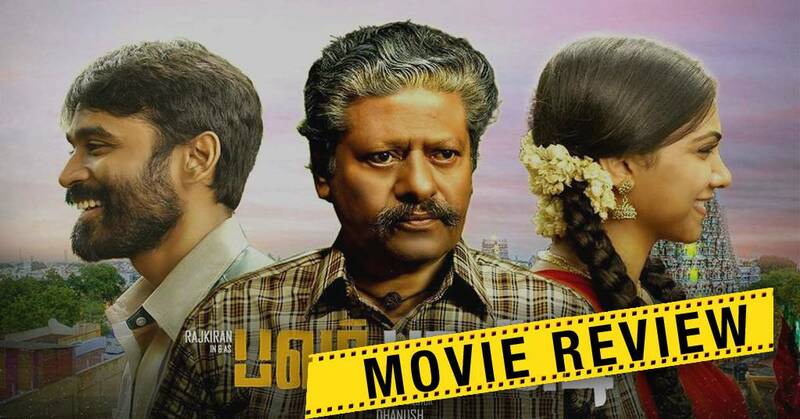 Verdict: Power Pandi – Heartwarming – Go with your family ! !